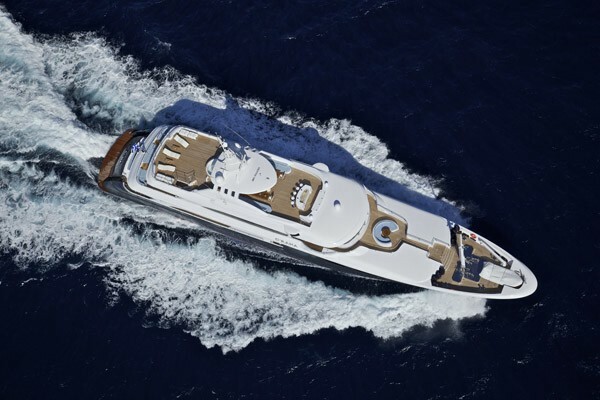 Luxury motor yacht MIA RAMA (Ex O’RAMA) is 53,54m (175' 7") in length and was built by Golden Yachts in 2009, with naval architecture by HYDROTEC S.R.L and interior decoration by INTERIN Studio Giorgio Vafiadis. 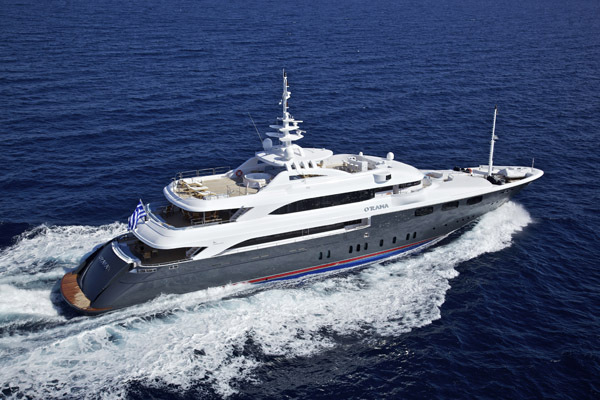 The MIA RAMA motor yacht is based in Greece and the Eastern Mediterranean accommodating up to 14 yacht charter guests in 4 Double and 3 Twin cabins. 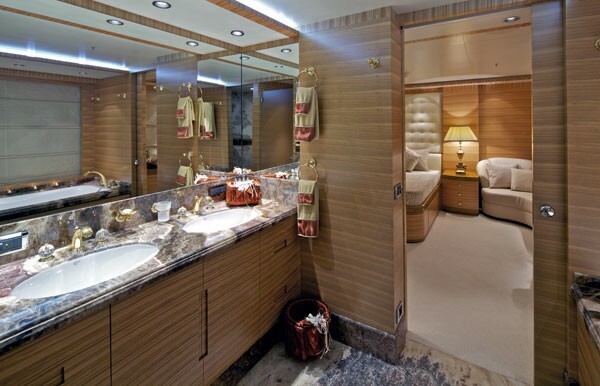 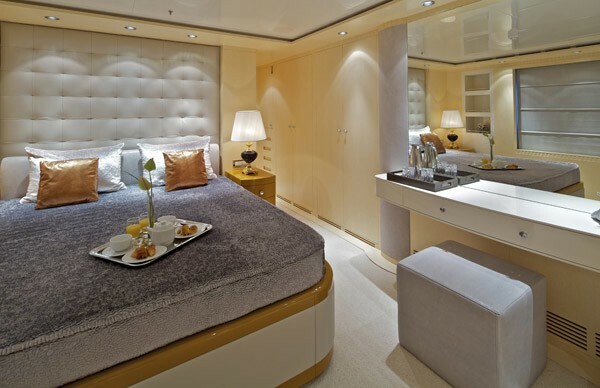 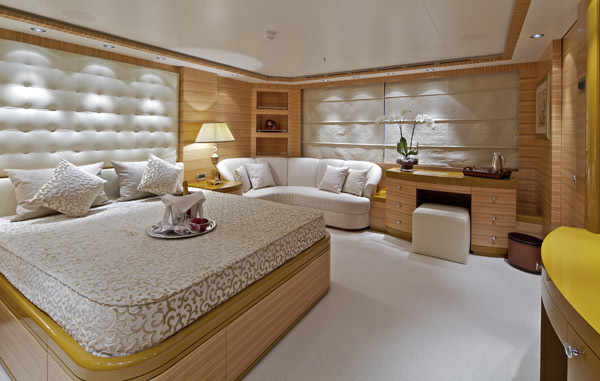 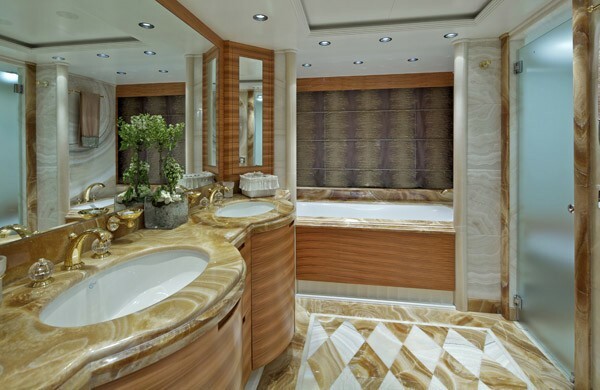 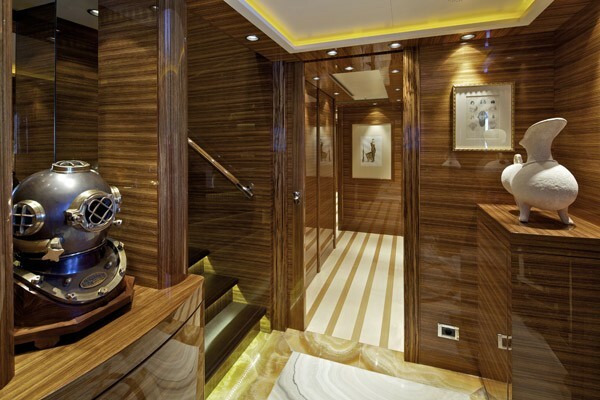 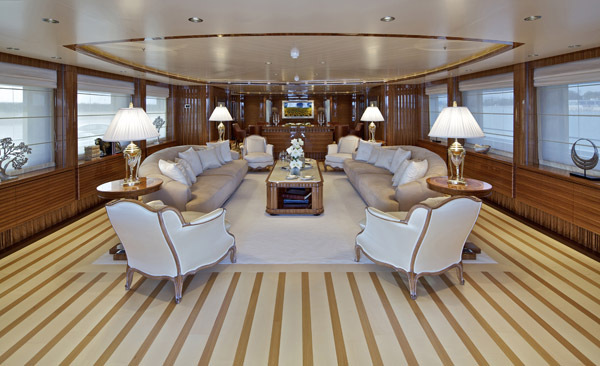 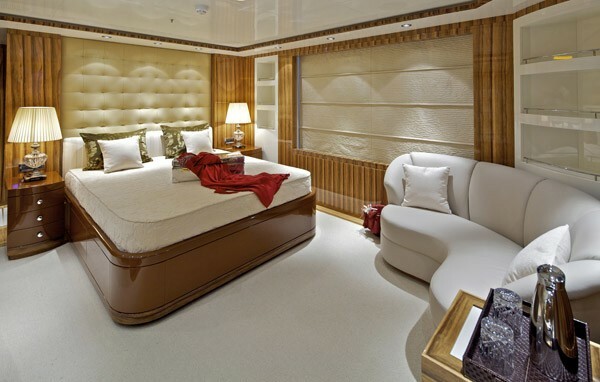 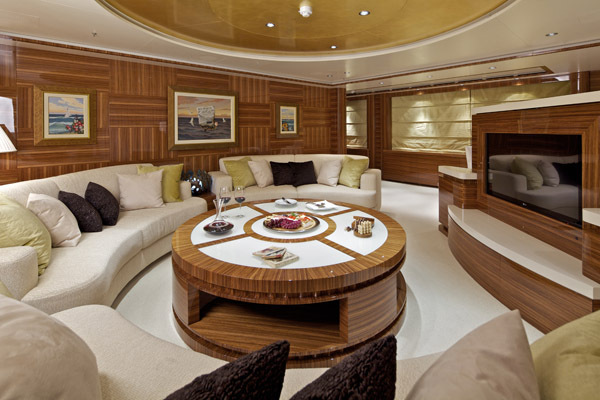 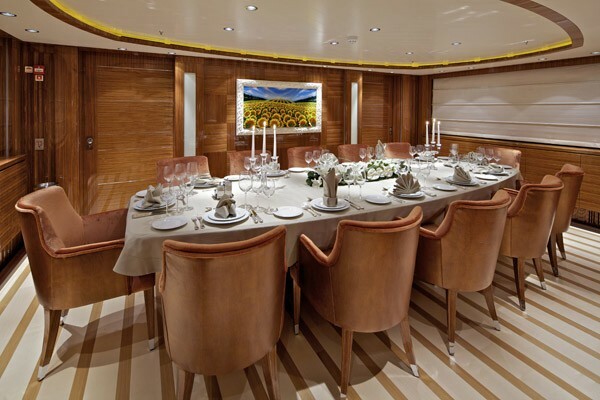 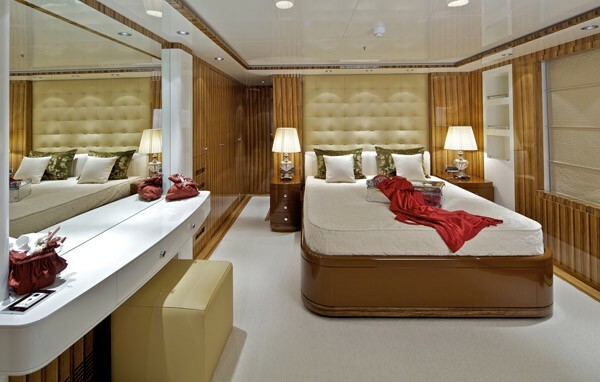 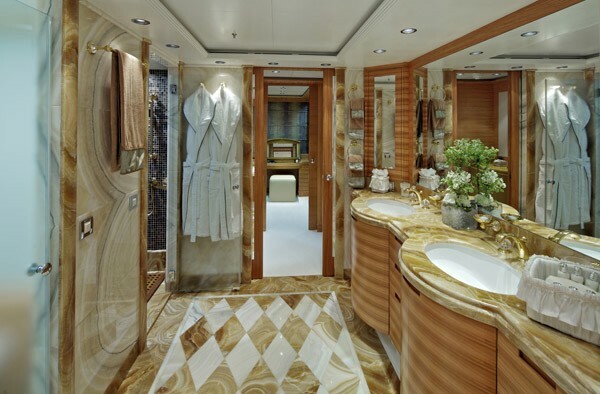 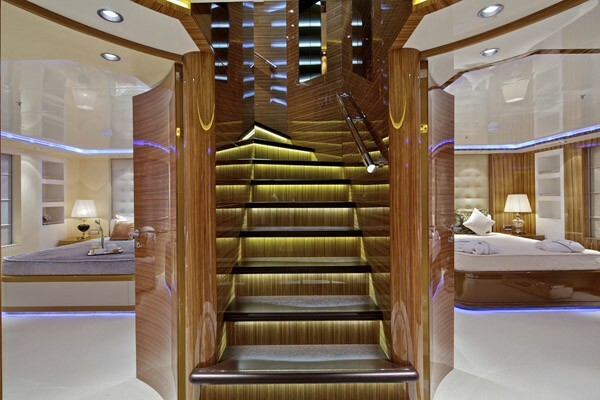 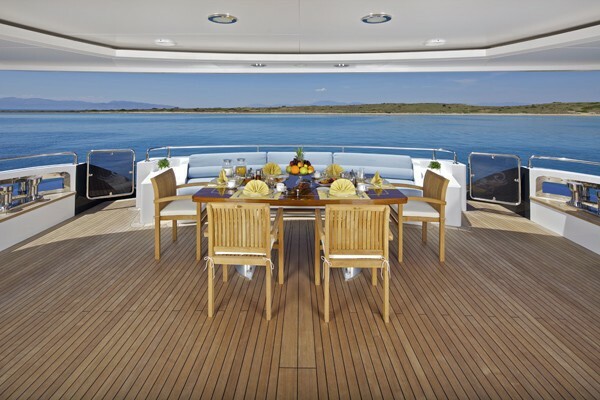 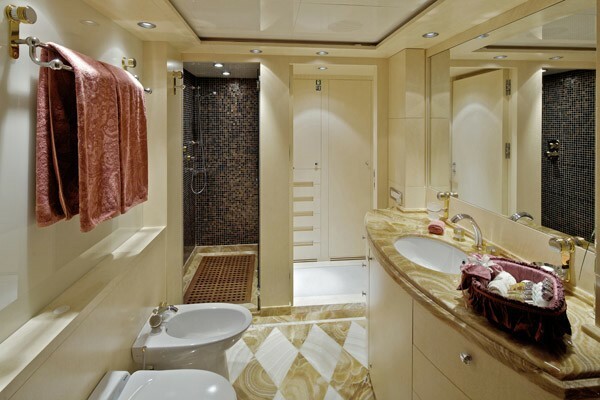 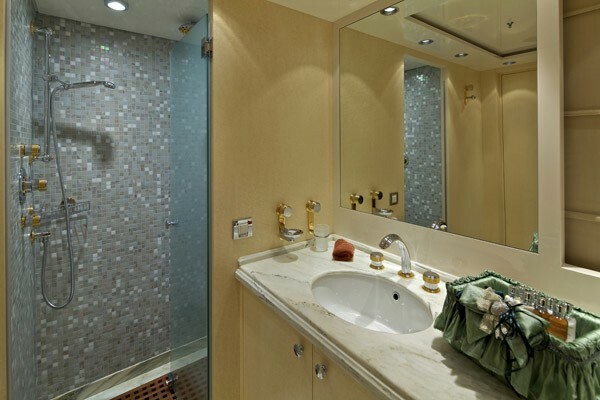 M/Y MIA RAMA has a neutral interior décor, offering a soothing and warm welcome to her guests. 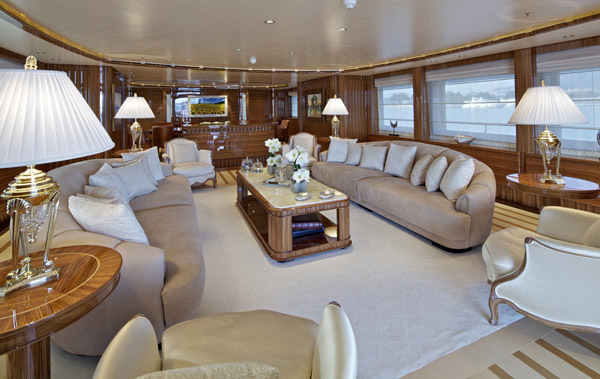 Fine oak and teak lacquered woods are elegant, while well-appointed furnishings and fittings are classy, yet comfortable. 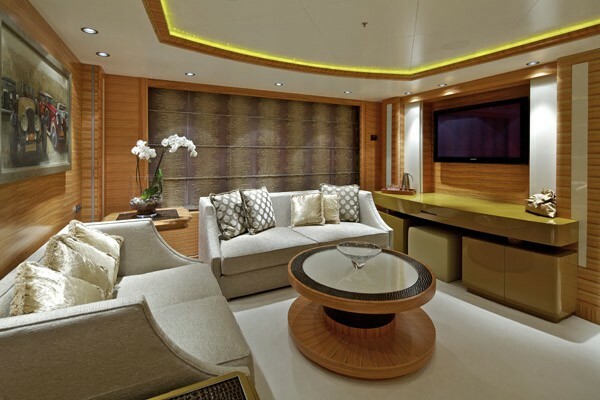 On the main deck, the salon is generous, boasting a large seating area, coffee table, panoramic windows and pop up entertainment center. 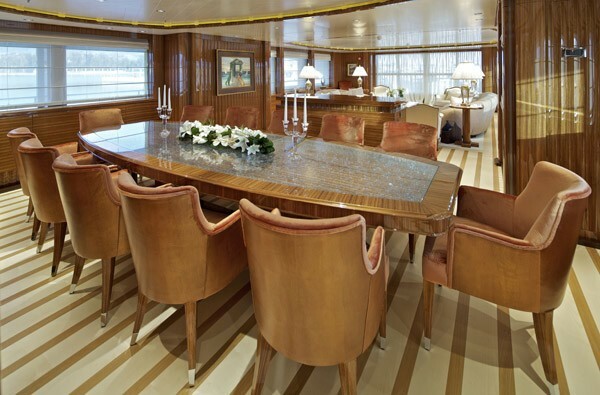 Forward of the entertainment center is a full beam formal dining area, seating up to 12 guests in sumptuous style. 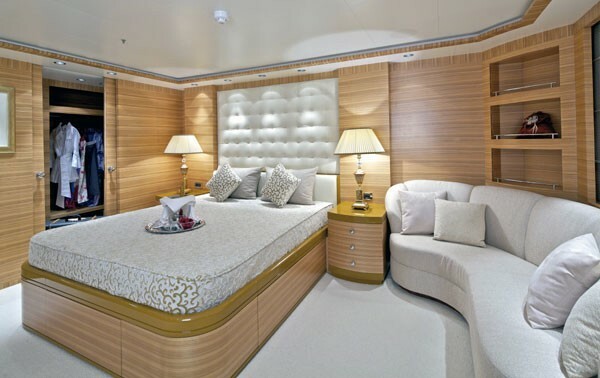 The main deck continues forward on the starboard side, leading to a guest day head, foyer, twin guest cabin, and finally, the full beam luxurious master suite. 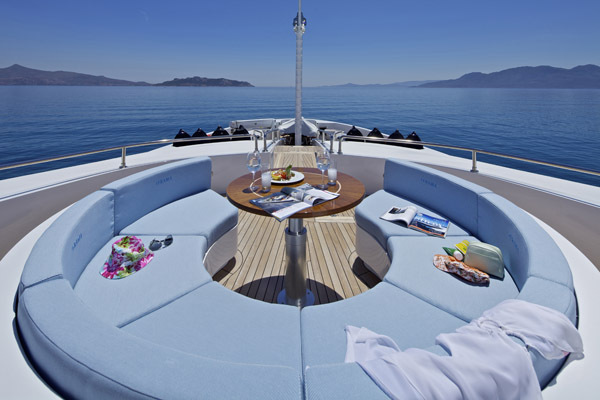 MIA RAMA's upper deck features a skylounge, ideal for a more casual retreat, offering a massive semicircular seating area, in a serene ambiance and boasting a 42’’ flat screen TV and full entertainment center. 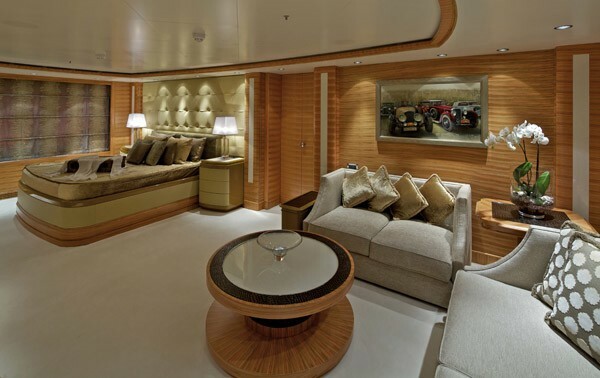 Forward of the skylounge is the spacious VIP cabin and separate work out gym, followed by the pilot house. 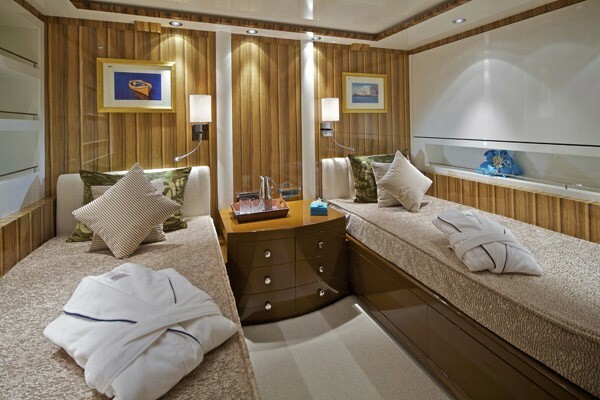 Further guest accommodation is on the lower deck, in 4 contemporary, light and spacious cabins. 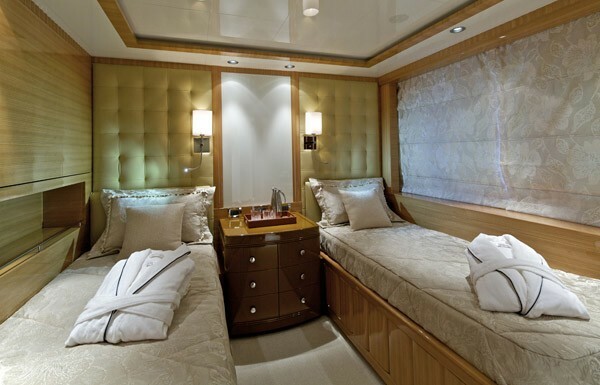 Two cabins have double beds and 2 have twin beds, (the twins each boasting an upper Pullman berth). 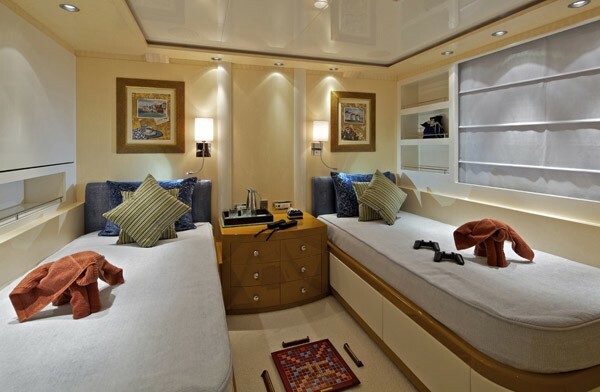 The lower decks arrangement on board the MIA RAMA charter yacht was devised with a focus on versatility, each cabin can remain private or alternatively, both double cabins join to a twin cabin, creating 2 fabulous family suites. 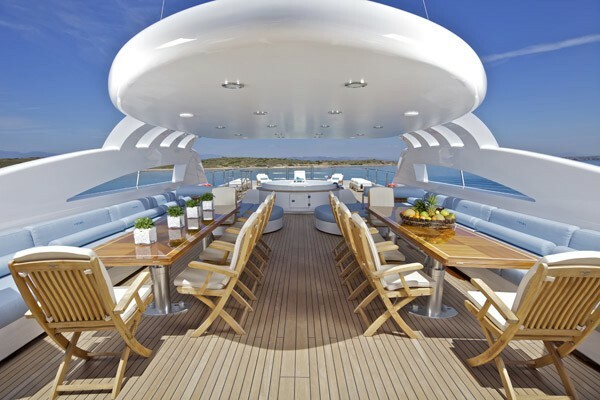 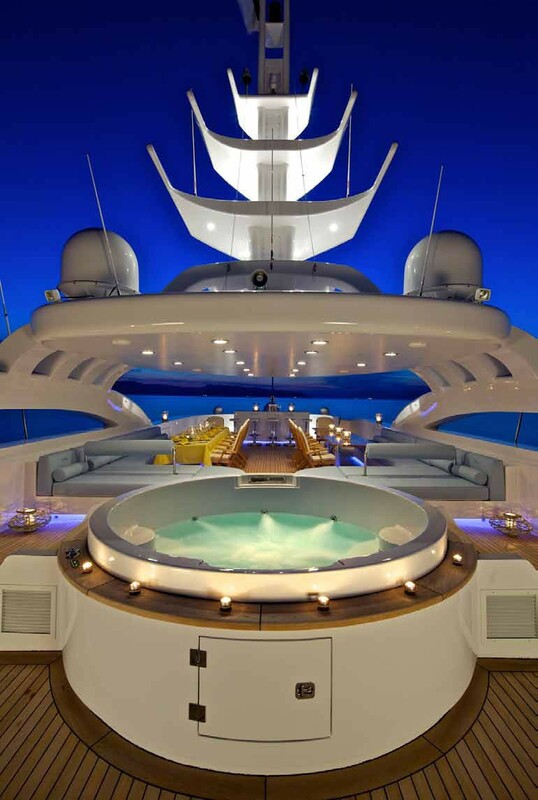 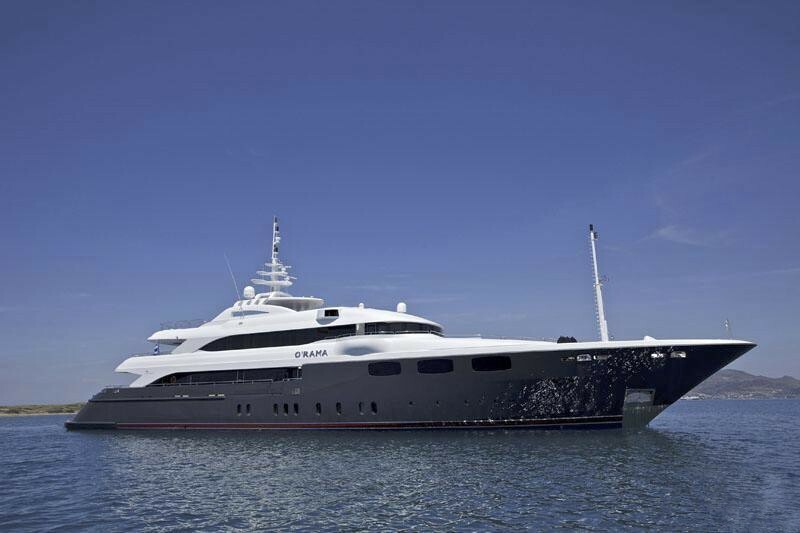 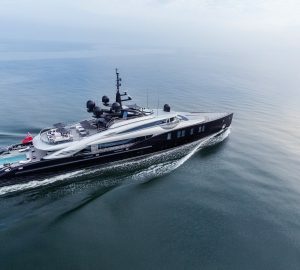 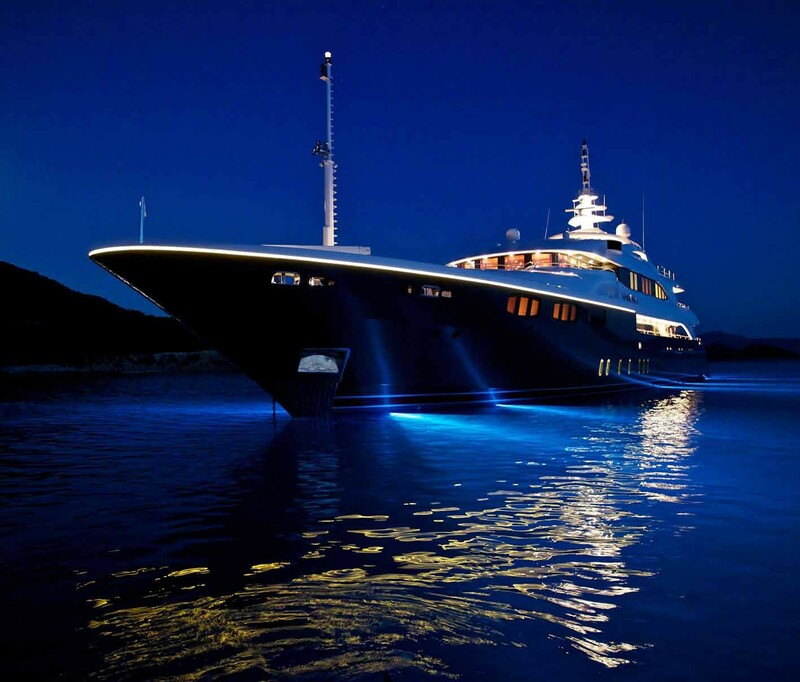 Superyacht MIA RAMA has plenty to offer on her 3 exterior decks. 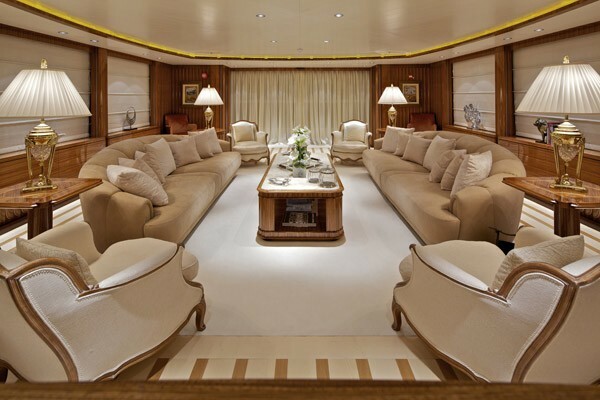 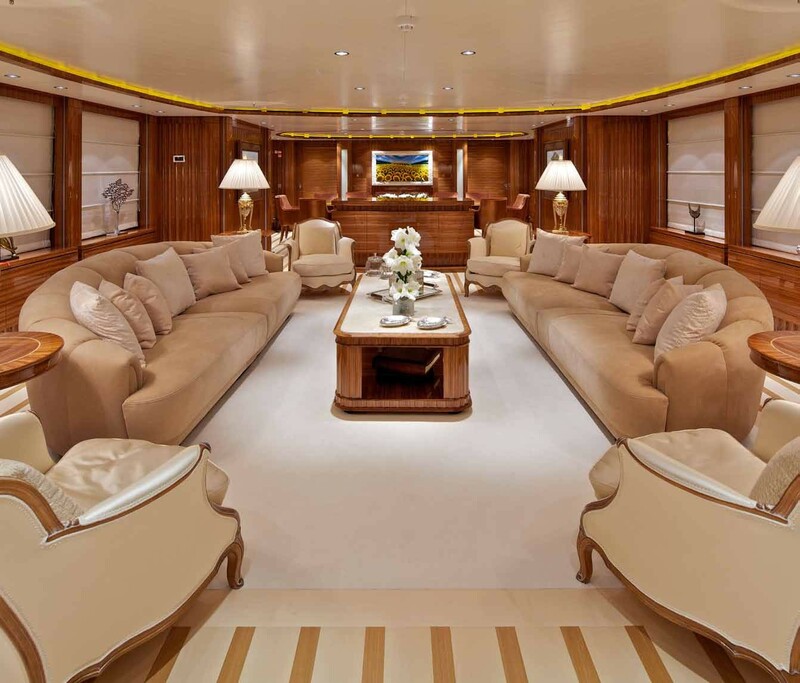 The main salon leads out onto a shaded aft deck and alfresco dining option, seating and spacious entertaining area. 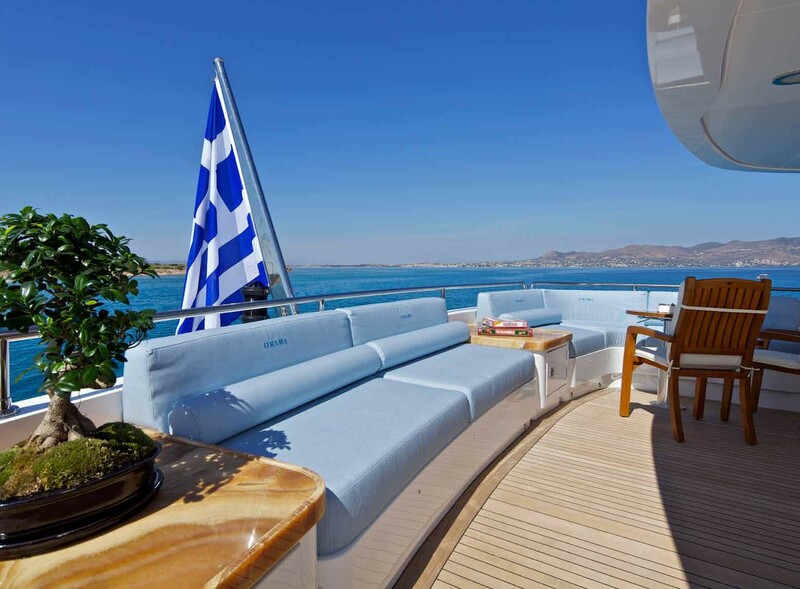 Further aft, on port and starboard, guests gain easy access to the full beam extended swim platform and great array of water toys. 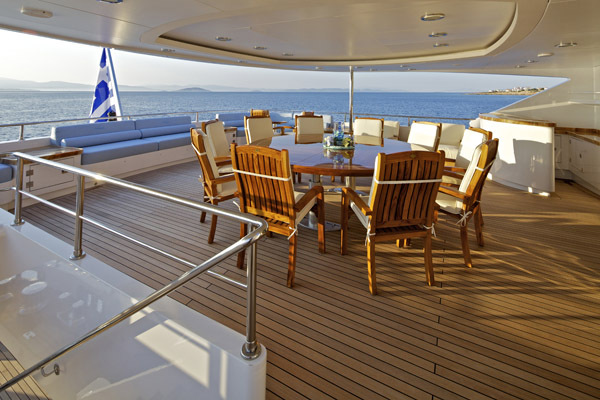 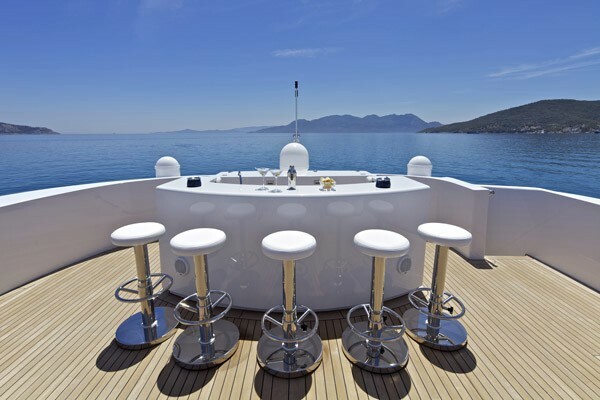 The skylounge gives way to a shaded aft deck, wet bar and additional alfresco dining option. 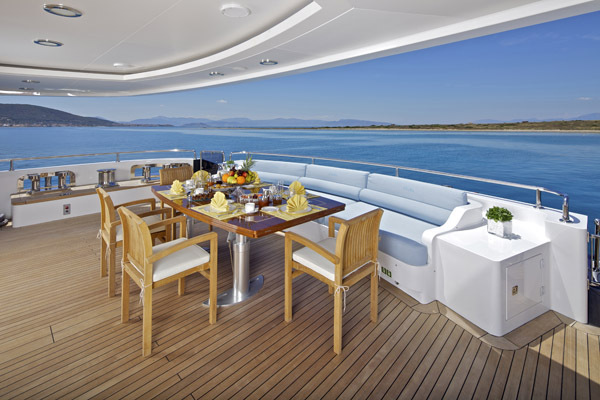 For an intimate escape, forward of the pilot house, guests may enjoy a cozy seating space, with idyllic views. 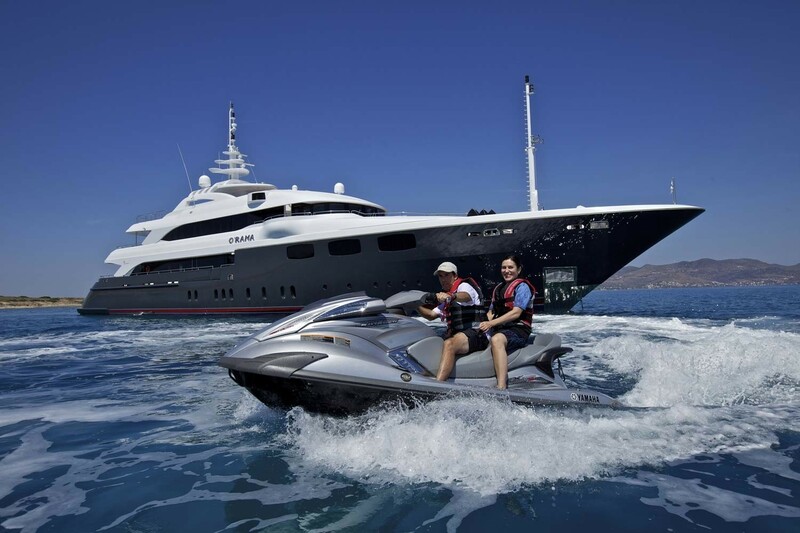 The MIA RAMA motor yacht has a Scanner 6,20m tender with 230hp inboard engine, Stayer turbo Diesel. One Zodiac 4.20m with 60hp outboard engine, One FX 1800hp Cruiser Yamaha wave-runner three-seater, One VX 1100hp Cruiser Yamaha wave-runner three-seater, One FX Seabob, One paddle board, Water ski equipment, Wakeboard, Tubes, Banana Fishing and Snorkeling equipment. 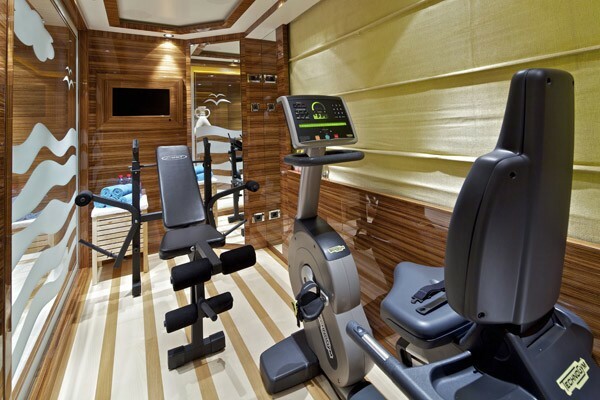 Small gym area with static bicycle, stepper and free weights. 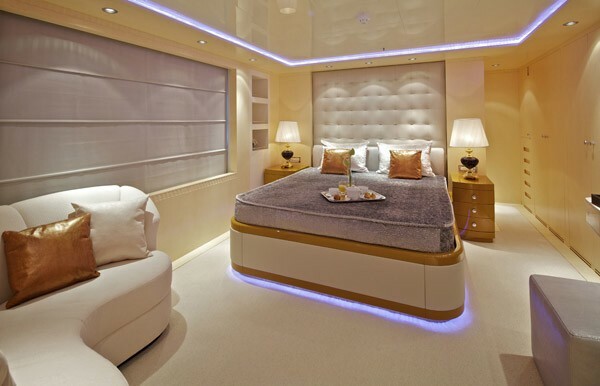 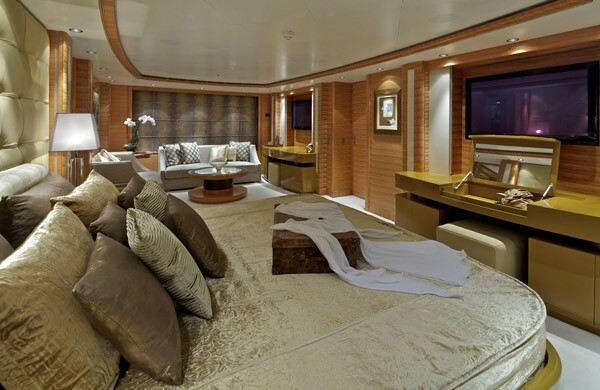 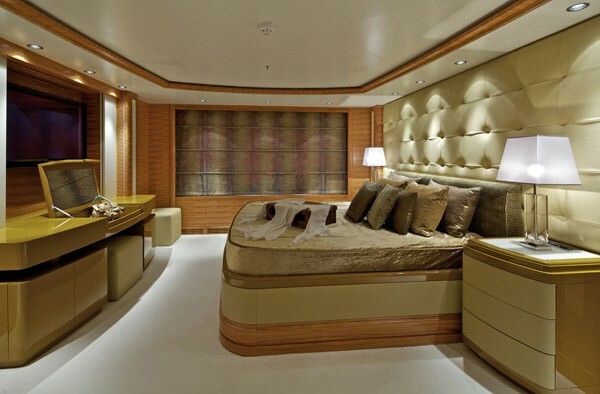 LCD monitors, Home theatre systems and AV surround system in all staterooms and salons. 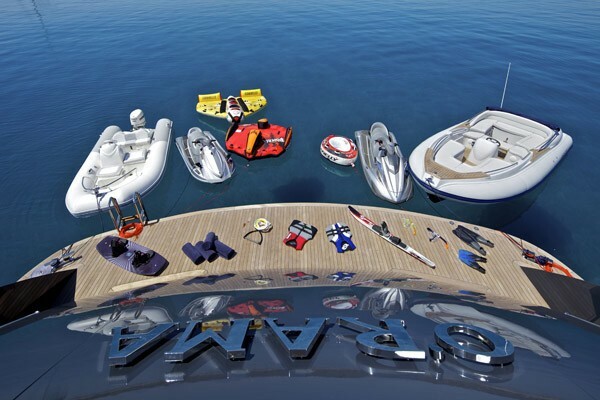 CD/DVD/MP3 player, digital receiver, I-Pod, infrared controller, play station 3 console game. 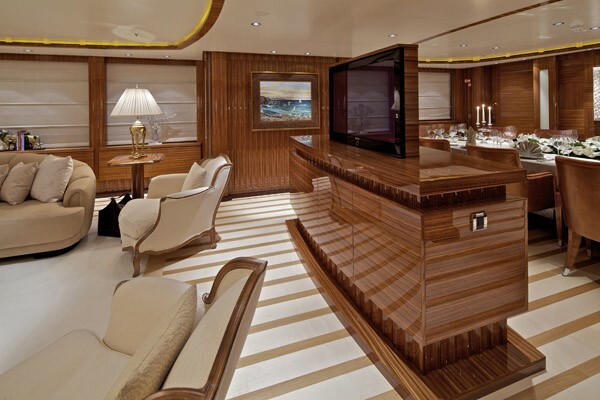 Apple TV 1080p in the main salon. 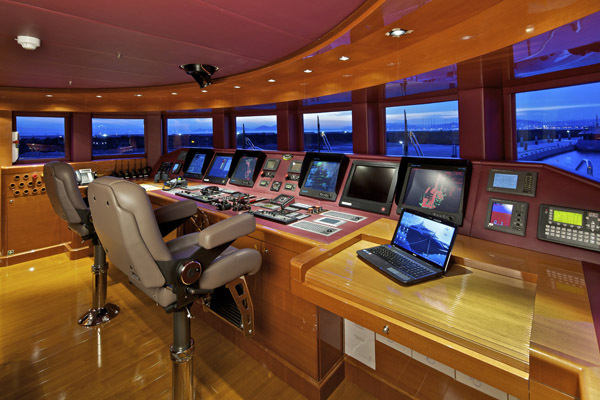 XBOX One, Satellite Communication (phone/fax), Satellite TV, Internal Telephones, Wi-Fi internet and E-mail access. 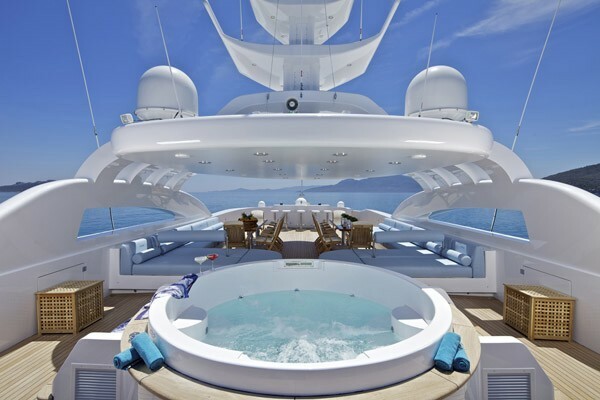 Bow thruster, four stabilizers (zero speed), ice, maker, 2 water-makers, laundry facilities, BBQ and Spa Pool on sun deck.